Despite there being no definitive proof of the existence of ghosts, some 52 per cent of Britons and 42 per cent of Americans believe that spirits walk the Earth. However, Professor Brian Cox, who is set to embark on his new tour, Universal – Adventures in Space & Time, has put any lingering suggestions to bed. Speaking to ITV’s Lorraine, Prof Cox, who was the keyboard player for 90’s band D:Ream, said if ghosts were to exist, science would have discovered them by now. When asked about the possibility of ghosts, the 50-year old physicist said: “No sadly, I think. “It is interesting, it is about our perception. We are making so many measurements of the world, and seeing things and processing all this with our remarkable brains. “And sometimes something doesn’t quite go according to plan or something strange happens and we attach a great deal of weight to those things. Professor Cox echoed a similar point which he made last year on his podcast which he co-hosts, The Infinite Monkey Cage. The Briton stated the Standard Model of Physics does not allow for a substance that can carry information after death that would not be detected by the Large Hadron Collider (LHC). He said: "If we want some sort of pattern that carries information about our living cells to persist, then we must specify precisely what medium carries that pattern, and how it interacts with the matter particles out of which our bodies are made. "We must, in other words, invent an extension to the Standard Model of Particle Physics that has escaped detection at the Large Hadron Collider. 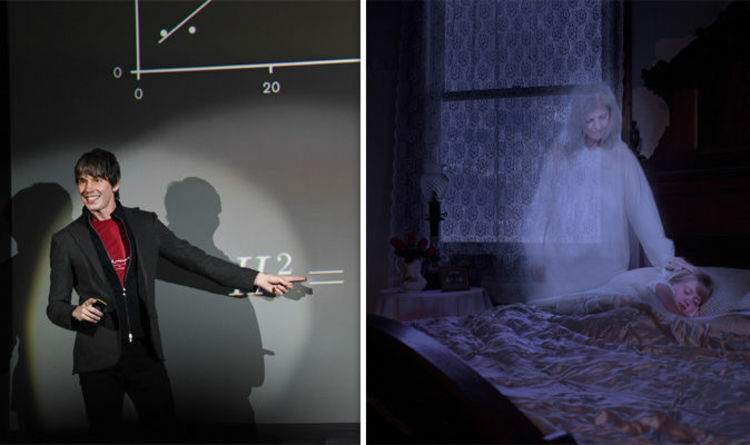 The Standard Model of Physics dictates energy is lost if it requires energy – for moving or emitting light for example – so it would be impossible for ghosts to exist. The LHC would have been able to detect energy – because the energy from ghosts would surely be the same energy used to make the living. Prof Cox continued: "I would say if there's some kind of substance that's driving our bodies, making my arms move and legs move, then it must interact with the particles out of which our bodies are made.